If you want a little excitement, take the road over Stoney Pass where this photo was taken. This road was once the only way into Silverton and was the first route used when prospectors entered the area in 1860. 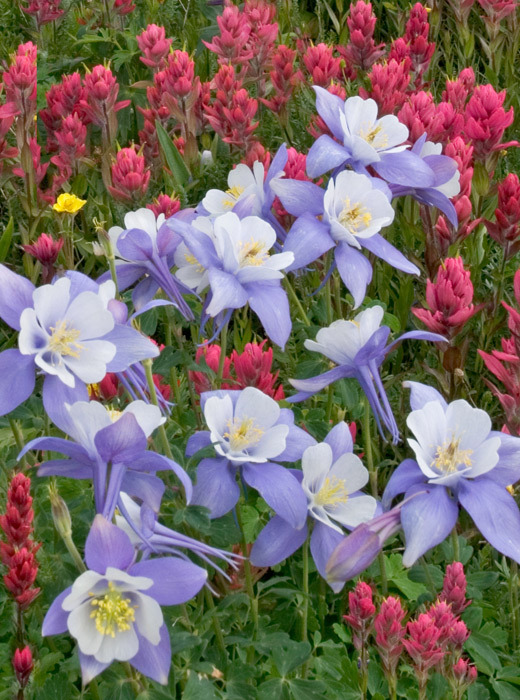 You’ll find fields of Indian Paint Brush, Columbine, Lupine, Bell Bells and other varieties of wildflowers along this road in mid July if the conditions are right. Photo © copyright by Mike Barton.